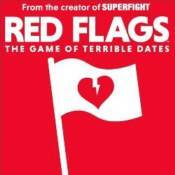 Red Flags is a game where players use white cards and red flags to create romantic matches for other players. Convince your friends to go on terrible dates. Best terrible date wins!